It is hoped that the decision of India's apex court will send a signal to politicians and their cronies from the world of business that the rule of the law does eventually prevail, says Paranjoy Guha Thakurta. Image: The largest number of allotments had taken place during the tenure of UPA-I when former Prime Minister Manmohan Singh was in charge of the ministry of coal for much of the time. Photograph: Adnan Abidi/Reuters. 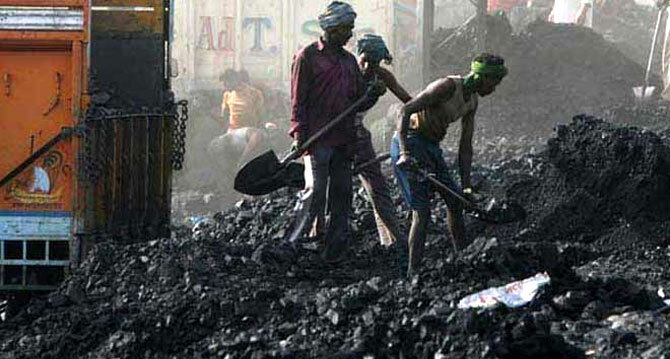 The September 24 decision of the Supreme Court of India to cancel the allotments of all but four out of the 218 coal blocks that had been granted by the Union government between 1993 and 2010, mainly to private companies, will have far-reaching consequences for the Indian economy. 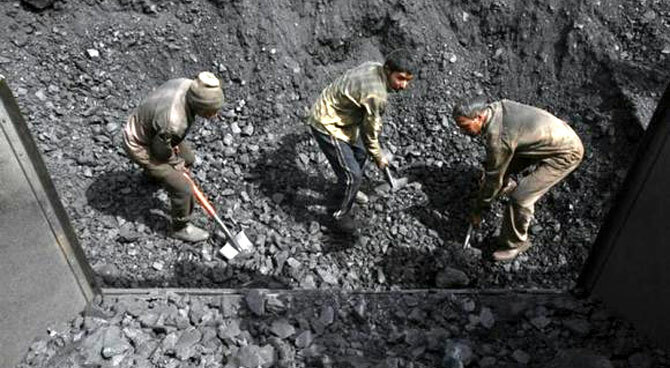 While it cannot be doubted that there could be some short-term glitches in the supplies of domestically-mined coal which, in turn, could increase imports of coal if electricity generation is not to be adversely impacted, the court decision provides an opportunity to clean up the corrupt and terribly messy manner in which coal has been mined in the country. If indeed this is to take place and a dent made in Indian-style crony capitalism, it is important to identify the individual companies, their promoters and their political benefactors who have been embroiled in what the media calls Coalgate. Image: The Supreme Court has cancelled the allotments of all but four out of the 218 coal blocks. Photograph: Mukesh Gupta/Reuters. It must be emphasised first that scandals relating to coal mining are hardly new. For nearly a century and a quarter, coal mining in India has epitomised all that is wrong with the governance of the country's political economy. In the early 1970s, the government headed by Indira Gandhi nationalised coal mining in response to persistent reports of unscientific mining practices and inhuman exploitation of workers by private miners. Nationalisation did not, however, prevent the open flouting of laws. In order to mine more coal, richly forested areas and fertile agricultural tracts were taken over without the consent of local inhabitants who were wholly dependent on such lands and forests for their livelihoods. Image: A number of companies that were granted leases for captive coal blocks apparently had little or nothing to do with producing power, steel or cement. Photograph: Reuters. Of the 218 allotments of coal blocks that had been declared illegal by an earlier judgement of the Supreme Court on August 25, the largest number of allotments had taken place during the tenure of the first United Progressive Alliance government when former Prime Minister Manmohan Singh was in charge of the ministry of coal for much of the time. Wednesday's decision to cancel 214 coal block allotments has predictably attracted the ire of industry associations and editorial commentators in the financial media, including in the pink press. This was to be expected as particular companies will not only have to give up captive mining of coal but will also have to cough up a fine of Rs 295 for every tonne of coal extracted illegally. 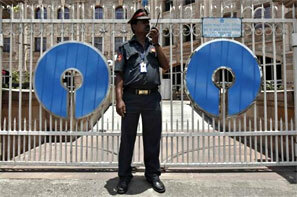 This could result in the government earning an estimated Rs 10,000 crore (Rs 100 billion). 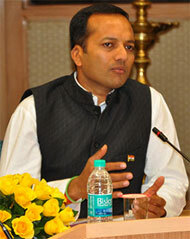 Two of the companies that are going to be the most adversely impacted by Supreme Court's decision are Jindal Steel & Power Ltd (JSPL) controlled by Naveen Jindal, former Congress member of Parliament from Hissar, Haryana, and his relatives and associates including his brother-in-law; and Hindalco (formerly Hindustan Aluminium) Industries, which is part of the Aditya Birla group headed by Kumar Mangalam Birla (left) -- who, somewhat ironically, shares his name with former Steel Minister Mohan Kumaramangalam who was the architect of the nationalisation of coal mining in Indira Gandhi's government. The penalties that would have to be paid by Hindalco could be at least Rs 600 crore (Rs 6 billion) while Jindal Steel and Power could have to shell out upwards of Rs 1,800 crore (Rs 18 billion). Whether these companies challenge the Supreme Court's decision remains to be seen. Over and above these two companies, firms like Monnet Ispat and Usha Martin will also be negatively affected by the cancellation of coal allotments. One company that has been lucky is Reliance Power headed by Anil Ambani as the company's two coal blocks for its ultra mega power plant in Sasan, Madhya Pradesh, have not been cancelled. However, the SC order is a big negative for companies in the GVK, Essar, Sesa Sterlite, Jaypee and Adani groups. had financial dealings with firms controlled by former Minister of State for Coal Dasari Narayana Rao who is also a film producer from Andhra Pradesh. There are allegations that these transactions could be construed to be in the nature of a quid pro quo, which Jindal has denied in media interviews. Many other important individuals have been identified who are connected with the promoters and directors of the private companies that obtained the rights to mine coal. Such persons include politicians affiliated to the Congress party such as Nagpur MP and newspaper baron Vijay Darda, his brother, Maharashtra Education Minister Rajendra Darda, former Minister of State for Food Processing Subodh Kant Sahay and former Ministers of State for Coal Prakash Jaiswal (who has denied charges that his relatives have benefited from the allocation) and Santosh Bagrodia (whose brother is associated with a company that had been given a coal block). 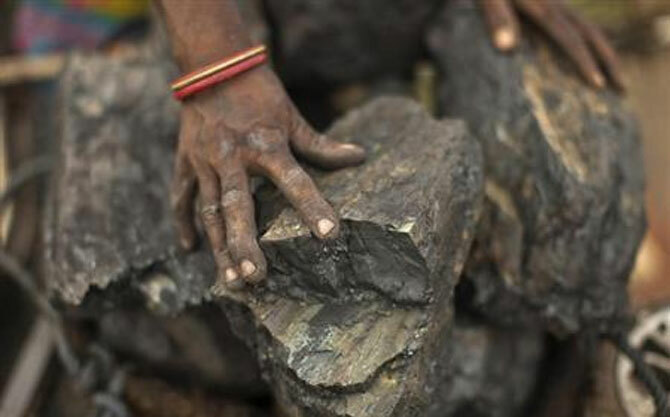 Other politicians include S Jagathrakshakan of the Dravida Munnetra Kazhagam, former minister of state for information and broadcasting in the UPA government, who was not an MP or minister when a firm owned by him, J R Power Gen, which had no expertise in the sector, was awarded a coal block in 2007. It was not only politicians from the Congress party and its allies like the DMK whose names cropped up in the scandal. 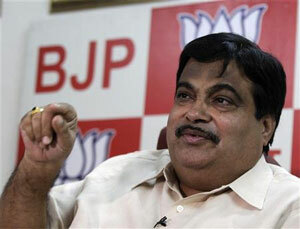 Among the firms that were allotted coal blocks was a company associated with Rajya Sabha MP Ajay Sancheti of the Bharatiya Janata Party who is close to Union Minister for Road Transport and Highways and former BJP president Nitin Gadkari (left). A number of companies that were granted leases for captive coal blocks apparently had little or nothing to do with producing power, steel or cement. Some of these firms were manufacturing gutka (chewing tobacco) and compact discs! Among the financial institutions that are likely to see a rise in their non-performing assets -- a euphemism for loans not repaid -- due to the cancellation of coal allotments, are banks like IDBI (formerly Industrial Development Bank of India), the country's largest banks State Bank of India and Punjab National Bank besides Uco (formerly United Commercial) Bank. Despite the temporary disruption that will be caused in critical infrastructure sectors due to the cancellation of coal block allotments, it is hoped that the decision of India's apex court will send a signal to politicians and their cronies from the world of business that the rule of the law does eventually prevail, even if the proverbial long arm of the law is often too long and the judicial process rather drawn-out and convoluted. 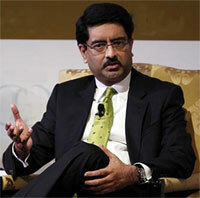 Coal meets India’s critical energy needs. It is responsible for the generation of the bulk (more than half and close to two-thirds) of the total electricity used in the country. Coal is crucial for the manufacture of steel, cement and many other products. Image: Coal meets India’s critical energy needs. Photograph: Ahmad Masood/Reuters. Despite holding substantial reserves of coal, albeit of relatively poor quality, India has been importing between a fourth and a fifth of its total requirements of coal in recent years. In August 2012, the Comptroller and Auditor General of India revealed that "screening committees" gave out licences for mining in captive coal blocks to a number of companies in an arbitrary, non-transparent manner that enabled these firms to reap windfall gains at the expense of the exchequer. The report of the CAG claimed that the country had incurred a loss of a stupendous Rs 1.8 lakh crore or the equivalent of $33 billion by allocating coalfields at throwaway prices. While the UPA government sought to trash the CAG's findings at the time they were made public, two years later, the Supreme Court has confirmed all its findings and vindicated its position. Soon after Dr Manmohan Singh became prime minister in May 2004, he recommended that coal blocks be allocated in a transparent manner through open competitive bidding in public auctions. It took six years for his own government to act on his recommendations and two more years to notify the new laws. Even as the government opened coal mining to the private sector, it has so far failed to put in place a statutory regulatory authority. Should one now hope that those in positions of power and authority will henceforth hesitate before allotting precious natural resources that belong to each and every citizen of the country in an arbitrary and corrupt manner? 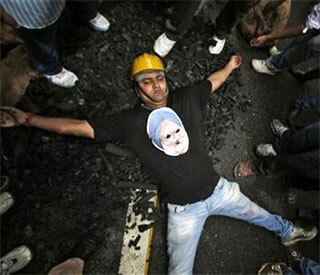 Coal-gate - Economic reforms to economic deforms?